Unfortunately, most of us don’t have the time or the money to redesign our home every few years. In order to prevent your interior from becoming outdated, it’s essential to avoid trends when decorating and stick to the classics. If you want to make sure your house never goes out of style, here are five timeless home decor ideas to keep it looking beautiful for years to come. Some say floral never goes out of style, others recommend plaid. However, the only truly timeless wall colors are white and neutral tones. Soft colors like pale blue or beige are calming and perfect for bedroom walls. On the other hand, kitchens always look clean with white walls, and they go perfectly with marble countertops and stainless steel appliances as well. If you feel strongly about incorporating a bold color or print on your walls, consider using it as an extra flair instead of the main theme. One easy way to do this is by applying a quirky and cute wallpaper to the backsplash in the kitchen or on one wall in the bathroom. That way it adds personality and color to your house without overwhelming the senses. Mixing old and new will never go out of style. Scour an antique shop every so often and keep an eye out for great finds at your local garage sales, because every home could use a vintage touch. When incorporating this timeless decor idea, just make sure you don’t go overboard. One desk, chair, or claw foot tub is an interesting piece that adds character to your home, but a whole room of eclectic antique pieces is not. When carefully considered and placed throughout the home, vintage touches can give even the most modern house a cozy, lived-in feel without sacrificing style. While sticking to neutral tone for the general theme of your home is always a good idea, sometimes a bold pop of color is a welcomed touch as well. Some great places to consider one are on your front door, in bright and beautiful art, or with a statement piece of furniture. To ensure the look stays timeless, though, make sure to coordinate it with the rest of the colors in your home. For example, a bright red door looks great against a white home, or a bold blue couch can blend perfectly with gray and pale blue themed living room. Avoid clashing colors and your pop of color will look fresh and beautiful even as other decor trends come and go. Minimalism is always in style. Ultimately, it means clean lines, decluttering, and putting the time into finding pieces that are both simple and functional for your home. If you’re considering a minimalist look in your house, go in with an open mind and be ready to part with some of your possessions. Make a goal for yourself to keep track of what you use and what you don’t. As time passes, slowly get rid of the items in your home that are just taking up space and don’t offer any real value to your quality of living. Soon, your home will start to feel more clean and spacious, and the minimalist look you desire will begin to emerge! Large windows and natural light are truly timeless looks for any home. If you’re searching for ways to increase the level of light in your home, consider adding skylights, trimming the trees and bushes around your house that may be blocking light, or hanging large mirrors as statement pieces to help reflect it throughout the house. Other options include installing natural wood flooring to maximize the sunlight and decorating your home with white and light furniture rather than dark, bulky pieces. Every homeowner should strive for a timeless look when decorating their home. It prevents the house from needing costly remodels and can also help increase the resale value when you put it on the market. No matter what your style is, there are ways to add touches of your personality without buying into fads that will quickly pass. If you love bright and beautiful styles, stick with a neutral theme but accentuate with one pop of color in art or furniture to add some fun while still keeping the calming tone. Another classic look to consider when decorating is mixing antique furniture with a modern design. 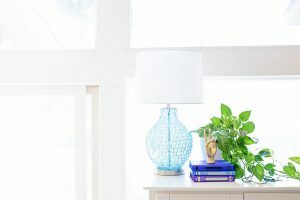 Finally, move in a minimalist direction with a slow but sure decluttering habit, and use our tips to help maximize the natural light your house receives. Most importantly, don’t get swept up in current trends when you’re remodeling the house. Instead, try these ideas next time you decorate and enjoy a timeless look and a stylish space for years to come!